My mom frequently used a pressure cooker throughout my childhood to make her incredible ham and beans, steamed artichokes, and many, many other dishes. I grew up thinking that artichokes just naturally cooked and were ready to eat in about 25 minutes and don’t remember ever seeing a big pot of beans simmering on the stove. It was always the pressure cooker. 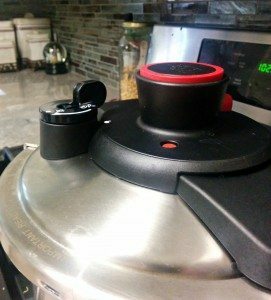 Over the past few weeks I’ve been testing the T-fal Clipso pressure coooker, getting ready for the special, holiday time giveaway. My family and I have put the T-fal Clipso through a pretty rigorous cooking test, although I have yet to use it with artichokes. The first dish I made was pulled pork, and the results were pretty impressive. I followed the recipe that was included with the pressure cooker, using a sugar free barbecue sauce and plenty of chipotle peppers. We thoroughly enjoyed our meal of pulled BBQ pork, and the T-fal Clipso made the process extremely easy. My next attempt wasn’t as successful. I was planning to add white rice to a meal and used the recipe for cooked rice in the T-fal Clipso cookbook. Normally I use about a 2:1 ratio (water to rice), so I was surprised by the much larger amount of water listed in the recipe. However, I reasoned, a degree of water would be lost via the steam valve and perhaps that accounted for the extra water. I followed the instructions exactly but ended up with rice soup. There was far too much water called for in the recipe, and my guess is that it was a typo. I will try cooking rice again in the Clipso, because the quicker cooking time would be a welcome advantage to those frequent meals when my back’s to the wall and I need something on the table fast! Other dishes we cooked in the Clipso were seasoned chicken breasts and beans for my favorite chili recipe. In both instances the Clipso performed very well and the food was cooked just right. I own 2 other pressure cookers and use them both. At times I’ve had to track down the pressure regulator when it became separated from the pot and lid. My kids don’t always put kitchen tools back together the same way they found them! With the Clipso the steam release valve is integrated into the design of the lid. It isn’t a separate piece. Once the cooking time is finished, it’s a very simple step to slide the valve to the steam-release setting, which releases the 12 pounds of pressure that has built up, making it safe to open the lid. The lid on the T-fal Clipso is one unit that combines the steam release valve/regulator with a one-hand system for opening and closing the cooker. At first I was skeptical that the lid would snap on just with the push of a button, but it does. It latches closed immediately. That makes it very simple and safe to open the lid. I’ve found the T-fal Clipso very easy to clean as well. When I made the pulled pork, some of the barbecue sauce stuck to the bottom of the pan — I overcooked it a bit. I use stainless steel pans in the my kitchen and I was dreading cleaning the sauce out of this, another stainless steel pot. I filled the pot with water, left it sitting overnight, and the next day every bit of sauce came off with just a few swishes of a sponge. I’ve found the T-fal Clipso incredibly easy to clean. It’s heavy duty stainless steel and is dishwasher safe, although I’ve only washed it by hand so far. The T-fal Clipso takes the mystery and fear out of using a pressure cooker in everyday cooking because it is just so easy to manage. A Zabada Kitchen Handy uses only water for cleaning. 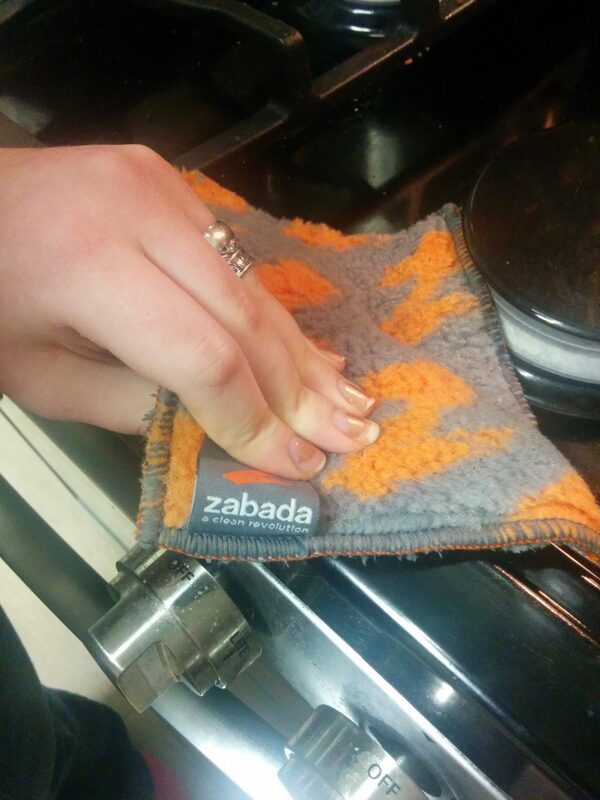 Along with the Clipso came something gray, orange, and fuzzy looking: a Zabada Kitchen Handy. I’ve strayed away from using most cleaning chemicals in my house and have used a vinegar/water mixture for just about everything. When I learned that the Zabada has technology that requires only the use of water to clean grime and grease, I wanted to give it a try. Its first task was cleaning the top of my gas stove. That is the one kitchen chore I dread most. It can become a cleaning nightmare in just one evening if food and grease is allowed to splatter the cook top. Sometimes we clean every bit of the kitchen until it’s sparkling and each of us turns a blind eye to that stove! No one wants to clean that thing! So, the stove seemed the logical place to put the Zabada to work. I followed the instructions that came with it and using just water, began swiping the edges and front of the stove. Sure enough, everything came clean. I wiped the area dry with a kitchen towel and was very pleased with the final results. Using just water and not a whole lot of elbow grease, the cook top was presentable in just a few minutes. The Zabada will last 2 to 3 years and is machine washable. 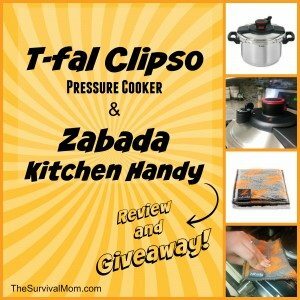 You can win both the Clipso and the Zabada! 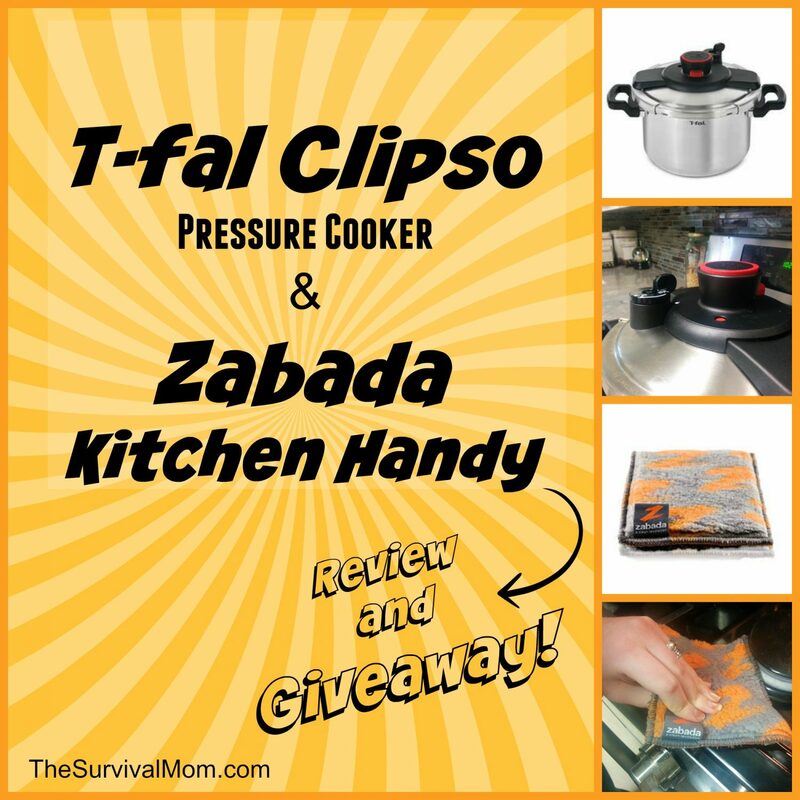 I’m thrilled to offer as a fantastic prize package both the T-fal Clipso and the Zabada to one lucky winner! Hopefully, it will arrive at your front door just in time to help with holiday cooking! This giveaway will be open for 10 days, ending at midnight on Monday, December 8. The winner will be selected at random and notified via email on Tuesday, December 9. 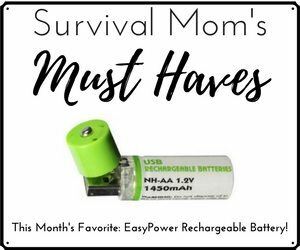 This giveaway is open to USA residents only, age 18 and older. I have very fond memories of my mother’s using her pressure cooker often as well. I wish that I had paid more attention to what she used and how she accomplished these extraordinarily good dishes. I would love to have a pressure cooker of my own. i would love one of these my mom used to cook in one all the time. Great time savers. pressurize any longer. This one is a beauty! Do you just comment to be entered to win? This would be perfect for my kids who love to help me cook. They can help me clean up now, too! I haven’t used a pressure cooker for a while now, mine broke and never got around to getting another one. They make the best meals. I would love to try a pressure cooker! Would like to say using a pressure cooker. I would love to win! How do I enter this contest? Look for the form below the review. Give the page time for the form to load. It can take several seconds. A pressure cooker is on my Christmas wishlist!! The ham and beans recipe sounds great. Can you pass it along? My grandmother taught me how to use a pressure cooker over 40 years ago, but I’ll probably have to relearn what to do if I win this one. I don’t use Facebook or Twitter, so hopefully I’ve entered the drawing correctly. Thanks for the great site and drawings. Where is the entry form for these contests? I can’t seem to locate it. How do you enter? The forms are always at the bottom of the article. It might take several seconds for them to load, though. As one who always has problems with cleaning ( a least favored task), I think I might really appreciate the Zabada. Retirement allows me almost as much time as I’d like to putter in the kitchen, but I could use that pressure cooker from time to time. 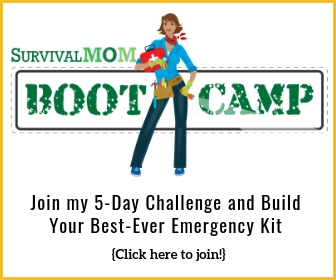 I would love to win the pressure cooker! I have not used one. Thanks for the chance to try this cooking method. I was in Italy and my cousin make chicken soup in 20mins from scratch. My daughter loved it. I couldn’t believe it was done so quickly. She told me she used a pressures cooker. I told her I had to get one as I would soon be returning to work and had to cook meals now every night for my dad who lives with me now since my moms passing. 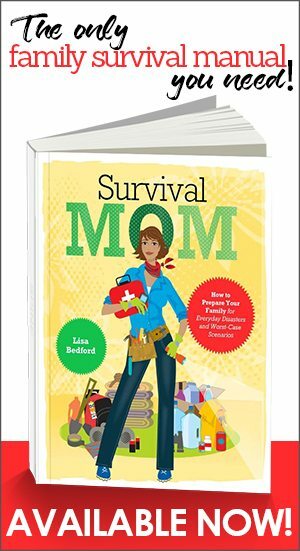 I needed to quickly learn how to cook for my newly adopted daughter and my dad but when i heard how much it cost $1,500 cdn 14 yrs ago i was Stunned. 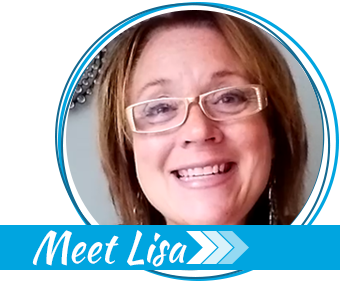 I would love to win the pressure cooker to make home made soups! This T-fal Clipso is under $90 on Amazon, I believe. Laura, did she put all the ingredients in the pressure cooker or just the chicken? My parents used their pressure cooker mostly in the fall. We harvested grapes and made our own jelly. We also made our own tomato sauce, taco sauce and salsa from the items we grew in our garden. we canned our own fruits and veggies as well. Now that I have my own place with fruit trees and nut trees and will be putting in a green house in spring I can see me using this quite often.